Once thawed, this product should be stored at room temperature. Avoid freeze-thaw cycles. Usage : Used as a DNA molecular size marker in agarose gel electrophoresis. 10,000 bp. For distinguishing band pattern easily, several double intensity bands and a doublet at 1,400 and 1,550 bp are included in this marker. Since this product is premixed with loading dyes and glycerol, it is possible to apply this product to gel electrophoresis directly. Loading volume is 10 μl per lane. 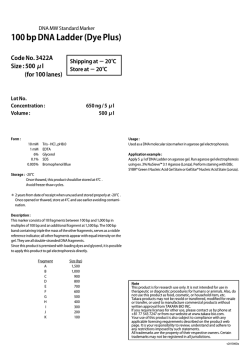 10 μl of this product contains the following approximate amount of DNA in each band. 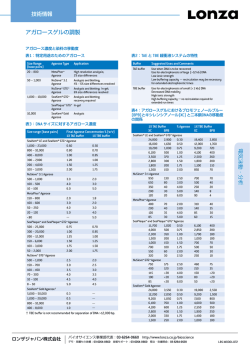 3 : 1 Agarose, 1 ％ Seakem® GTG® Agarose (Lonza). 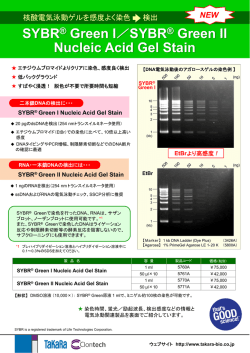 or GelStar® Nucleic Acid Stain (Lonza). that a large amount of water be used when disposing. not use this product as food, cosmetic, or household item, etc. 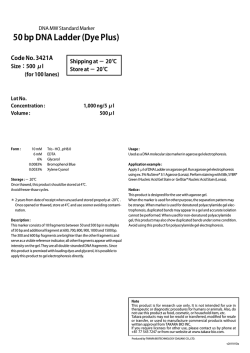 written approval from TAKARA BIO INC.
+81 77 543 7247 or from our website at www.takara-bio.com .